Students in the Associate Degree Nursing (ADN) program study the biological, physical, and behavioral sciences to prepare them for the nursing curriculum. The program prepares graduates to assist a diverse patient population within the community through health maintenance, as well as caring for them across the lifespan, through illness, injury, or disability. Utilizing a patient-centered approach, the program prepares graduates to care for their patients through evidence-based practice, critical thinking skills, innovation and creativity, and excellent communication skills. Upon graduation, the registered nurse will lead, manage, and coordinate care with other health care disciplines within our community. The program is based on the fundamental core values of caring, diversity, ethics, excellence, holism, integrity, and patient-centeredness. Graduates received the Associate of Applied Sciences degree in Nursing (ADN) and are eligible to take the licensure exam for registered nurses (NCLEX-RN). The program is approved by the Michigan Department of Licensing and Regulatory Affairs/Board of Nursing (P.O. Box 30670, Lansing, MI 48909-8170; www.michigan.gov/lara). The program is also accredited by the Accreditation Commission for Education in Nursing, Inc. (3343 Peachtree Road NE, Suite 850, Atlanta, GA 30326,(404) 975-5000; www.nlnac.org). Demonstrate high school level education (high school diploma or GED). Demonstrate math proficiency by placing into MATH 130 on the ACCUPLACER placement test within the last 5 years, OR a minimum score of 25 on the math portion of the ACT within the last 5 years, or completion of MATH 120 with a grade of 2.0 or higher within the last 5 years. ENGL-101 English Composition I (or ENGL 103 ) OR ENGL 102 English Composition II (or ENGL 104 ) Note: the ENGL 101/103 grade will be used for ranking purposes in the competitive admissions process. Complete all required courses in no more than 2 attempts (exceptions: Fresh Start and course updates). Maintain a cumulative MCC GPA of 3.0 or higher. Submit official transcripts for all transfer college coursework. Official transcripts must be sent directly to the MCC Registrar's Office. Submit an acceptable criminal background investigation (CBI) for the purpose of identifying whether the student would be ineligible to continue in the program due to a felony conviction (within the last 15 years) or a misdemeanor conviction (within the last 1, 3, 5, or 10 years, depending on the law), in accordance with Michigan statutes and laws. The CBI must be completed within 6 months of entry into the clinical sequence of the program, and at the request of the clinical agency. 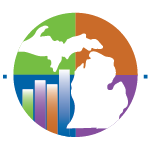 The Michigan Department of Licensing and Regulatory Affairs (LARA) requires an additional background investigation prior to the completion of professional licensure requirements. The cost of all required CBIs is the responsibility of the student. Fulfillment of the minimum eligibility requirements does not guarantee admission into the Nursing program at Mott Community College. Qualified application portfolios will be reviewed by the Nursing program coordinators during the Winter semester for September admission (Fall) or Spring semester for January admission (Winter). Final determination of program entry will be made by a competitive (selective) process. Students meeting the minimum eligibility requirements will be ranked for admission into the program using a value point system. Points will be awarded to students based on the application portfolio submitted by the deadline. All eligibility coursework must have been completed prior to the application deadline; consideration will not be given for coursework or other requirements that are in progress. Receipt for completed criminal background investigation (CBI). By January 31 for admission in the September (Fall) class entering the clinical sequence. Students should consult with an academic advisor in the Prahl College Center for assistance in preparing to meet eligibility requirements and in submitting the application portfolio. All required science courses (including BIOL 151 , BIOL 152 , and BIOL 101 or BIOL 156 ) and ENGL 101 must be completed with a 3.0 or higher grade. All science courses must have been completed within the last 5 years. All required nursing and allied health courses (including AHLT 112 , AHLT 135 , NRSG 100 , and NRSG 105 , and all NRSG clinical courses) must be completed with a 2.0 or higher grade. All other support courses required to meet general education requirements (including PSYC 281 and ENGL 102 or COMM 200 ) must be completed with a 2.0 or higher grade. Students are admitted into the clinical sequence twice a year, in the Fall and Winter semesters. A maximum of 80 students are admitted in each of those semesters. Prior to the start of the clinical sequence (NRSG 110 ), students must attend a mandatory program orientation session or the student will be dropped from the course. Students entering the clinical sequence must submit documentation of a physical exam, including required immunizations and TB testing, at the student's expense. Completed physical exam forms are due to the Division office (CM 2313) by June 1st for Fall admission and October 1st for Winter admission. The physical exam must be no older than 6 months. Students are responsible to submit documentation of annual TB testing while in the program. Students must submit documentation of current Basic Life Support (BLS) certification. Acceptable courses include those from the American Heart Association or the American Red Cross, for health care providers or health care professionals only. Other CPR courses are not accepted. The BLS course must be a 'live' course - online course certifications are not accepted. Copies of current BLS cards are due to the Division office (CM 2313) by June 1st for Fall admission and October 1st for Winter admission. Students are responsible to maintain ongoing certification and submit documentation to the Division office while in the program. Michigan law requires criminal background screening for individuals working in most health care settings and facilities. Students in the Nursing program are affected by this law. Conviction of a criminal offense (felony or misdemeanor) may make a student ineligible to be assigned to a clinical site, making program completion and graduation unattainable. A criminal background investigation is required to apply for the Nursing program. Informational packets may be obtained from the Division office (CM 2313) or from an advisor. The packet provides instruction regarding the process to complete and submit the background investigation. Students will not be admitted to the Nursing program without a clear CBI. In some cases, clinical sites may require students to complete additional background investigation and submit to drug screening procedures prior to or during the clinical experience. All background investigations and drug screenings are at the student's expense. Conviction of a criminal offense may also make graduates of the Nursing program ineligible for state or national licensure/certification at program completion. All applicants for a Nursing license in Michigan are required to submit fingerprints and undergo a criminal background investigation prior to licensure/certification. Program coordinators, faculty, advisors, and staff cannot give legal advice to any student regarding potential eligibility/ineligibility based on prior convictions or negative findings on the criminal background investigation. The student should consult an attorney for questions specific to his/her individual case. By completion of MATH 120 with a grade of 2.0 or higher within the last 5 years. Courses listed under Occupational Specialty and Related Requirement Courses may also be used toward fulfilling General Education Requirements if they are listed there. Students may only earn credit once for the course.